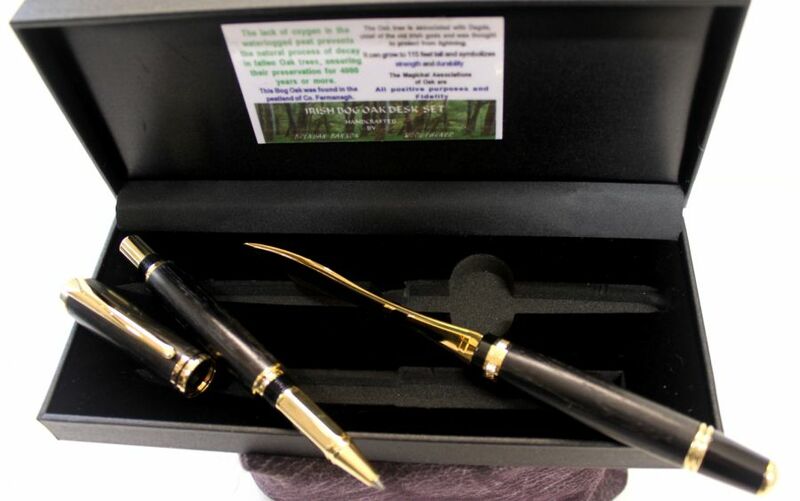 This unqiue pen is offered as a Rollerball Pen and a Fountain Pen. 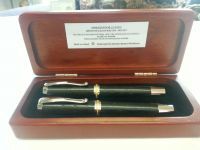 The Fountain Pen features a top quality two tone nib with Iridium point while the Rollerball includes a ceramic tipped cartridge for effortless writing. 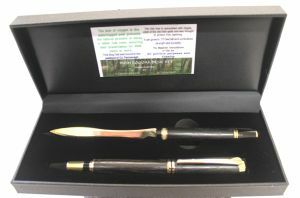 The pen and letter opener are both finished with gold accents. Another great addition to the Irish Collection, this Desk Set would compliment any desk and is ideal as a wedding groomsman gift or birthday present.